"Includes helpful e-tutoring lessons with native speakers." Korea has rapidly become a cultural and economic power. From K-pop music to delicious Kimchi it is hard to resist the attractions of this Asian nation. An increasing number of foreign language companies are catering to students who want to learn Korean. One of the better programs in this field is Living Language Korean. Below you will find an in-depth review of this program, its major pros and cons, a complete overview of the course material, and how much you can expect to pay for this course. Finally, I compare Living Language to some of the other Korean courses currently on the market and provide my personal recommendation. 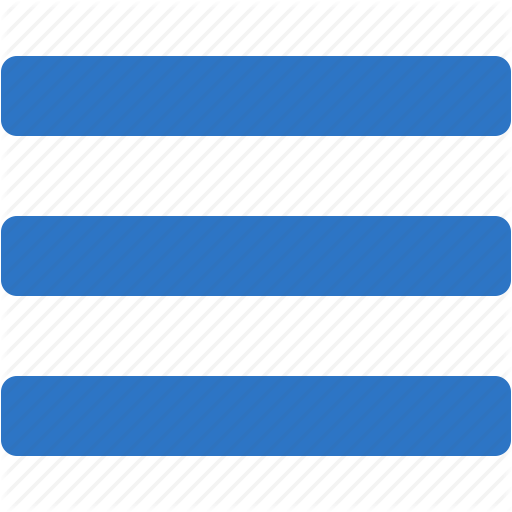 The web-based platform allows you to study the course material from any computer device that has Internet access. This includes your laptop, tablet, or PC. The main part of the course is 46 Korean language lessons. These cover the essentials of Korean including grammar, conversations, vocabulary, and Korean cultural notes. Also included with the Korean online course is an e-tutor. This is a real life native Korean speaker who provides tuition and answers any questions about the course material. Using the online booking form you can select a time to meet with your Korean tutor over the internet. Each tutoring class includes no more than three students. Living Language customers get access to the online community. Here you can meet other students studying Korean and share ideas about how to enhance your studies. You can also get advice from Korean language experts from Living Language. The online course gives you access to games and puzzles designed to improve your retention of the course material and help you to recall it. Korean online also includes a progress tracker which records how far you have gotten through the course material. Tailored tutoring sessions - Many customers choose to purchase only to get access to the online tutoring sessions. These tutoring sessions are very helpful and offer a unique opportunity to get advice from a native Korean speaker. The classes feature no more than three students, so it is very easy to ask a question or receive individual attention. Teaches writing and reading in Korean - Unlike some other language courses Living Language is very good at teaching both writing and reading. While the passages are sometimes a little uninteresting, they do a good job of reinforcing the course material. Korean alphabet is actually relatively easy to learn as there are fewer characters than in many other Asian languages. Therefore it is well worth taking the time to learn the Korean alphabet. Grammar section can be daunting - Early on in the course Living Language introduces you to Korean grammar. For English speakers this can be particularly daunting. Living Language doesn't offer any quick fixes for learning Korean grammar, but rather requires hard work and commitment on the part of the student. This is not a disadvantage, but it is something that you need to be aware of. No physical course available - Some other Living Language courses offer a physical Platinum version of the course. With Living Language Korean you only have the choice of purchasing the online edition. For most people this isn't a problem, but if you like having physical access to the CDs, you may find this disappointing. How does it compare with others? 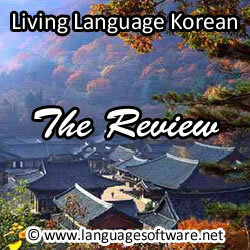 Most people who want to learn Korean will probably choose either Rocket Korean (my review) or Living Language Korean. These two courses are both very good at teaching Korean. Between the two Living Language is probably a little bit stronger at teaching reading and writing Korean. In contrast Rocket Korean has a stronger audio component. Living Language typically only has words and phrases on the audio to listen to. Rocket Korean has longer passages which allow for a more immersive experience. Rocket Korean also has audio guides which take you through the course material and offer personal suggestions. Both courses have nice additional features such as progress tracking, quizzes, and games. Rocket Korean is currently priced at $99.95. For students on a budget Rocket Korean will be the obvious choice. The other main competitors are Rosetta Stone and Pimsleur. Pimsleur Korean costs $230 for the downloadable MP3 version or $495 for the CD version (my review). This makes it significantly more expensive than Living Language Korean. Many people love the Pimsleur approach and for good reasons. Pimsleur is an entirely audio-based approach to teaching Korean, which can get you to an intermediate level of speaking in a relatively short space of time. But it is weak at teaching reading and writing. It also doesn't teach the grammar structure in the same way as Living Language does. This makes it harder to compose your own sentences later on. Rosetta Stone is another popular Korean course. Rosetta Stone Korean levels 1-3 costs $259. Again this makes it more expensive than Living Language Korean. One advantage of Rosetta Stone over Living Language is the high-tech voice recognition software (my review). This is very useful when you are learning to improve your pronunciation. The multimedia learning Rosetta Stone offers is of very high quality with first class production values. Rosetta Stone uses an immersion approach similar to the way that we learn as children. Living Language uses a more formal classroom-based approach which gives full explanations in English. Many people prefer the Living Language approach as it is one they are more used to. The online tutoring sessions give individual, customized attention. Teaches writing Korean, unlike many other programs that only teach speaking. Audio lessons are downloadable and useful for on-the-go learning. Grammar lessons can sometimes be dull. There's no physical version of the program. Requires internet access to access the lessons. If you love watching Korean TV shows, then you will get a real kick out of the first time you can understand the subtitles. I remember the first time I could order at a Korean restaurant: it was a real fun experience. Living Language Korean and Rocket Korean are the best two courses to help you achieve that goal. Both offer very high quality and teach Korean in a comprehensive way. Given the lower price Rocket Korean will be the natural choice for most people. It's a very solid course and I recommend it to anyone interested in learning the language.